My profession requires me to be in the car for extended periods of time driving all over the place. When babies entered the picture, I had to find a way to adapt my version of traveling to -our- version of traveling. I’ll get a call saying, “Hey can you show me these homes across town in 30 min?” I’m a Realtor so my schedule is flexible but most of the time at least one of my kiddos is with me when I venture out. I cannot emphasize enough the importance of snacks. And a lot of them. And a variety of them. I will take sandwich baggies and fill them up with goldfish, veggie straws, dried fruit, non-peeled bananas, trailmix, chips, etc and ration them out only as needed. This is key as rationing is everything on a road trip. I won’t pack anything that will make a huge mess nor melt (that’s a biggie in the FL heat). ALL snacks, beverages, sippy cups, bottles, etc. go in the designated snack bag which is kept in my possession. Ezy Dose Monthly Medtime (28-Day) Pill Planner │Monthly Pill Organizer . My girlfriends thought I was insane when they came to my house and found my children’s pillbox full of snacks. They laughed when I told them what it was for. Then their daughters each received one for their birthdays because they couldn’t stop playing with it every time they came over to visit. I like this one specifically because of the colors, the 28 different boxes keep little hands busy for a while, and the *click* noise it makes when you shut the boxes is oddly satisfying. I once saw someone use a similar method with a nook and cranny sewing box that had one lid for the entire thing…Good luck with that if (when) it gets dropped! As for beverages, this stainless steel cup is amazing for keeping baby drinks cold. Think of it as a little mini Yeti. I always used their 360′ cups when we transitioned from bottles because they don’t spill and mimic a regular cup. Add in an extended period of coldness and a cap? Sold! My absolute go-to most successful must have item on a road trip is slightly unconventional. And I’ll bet you already have one at home. 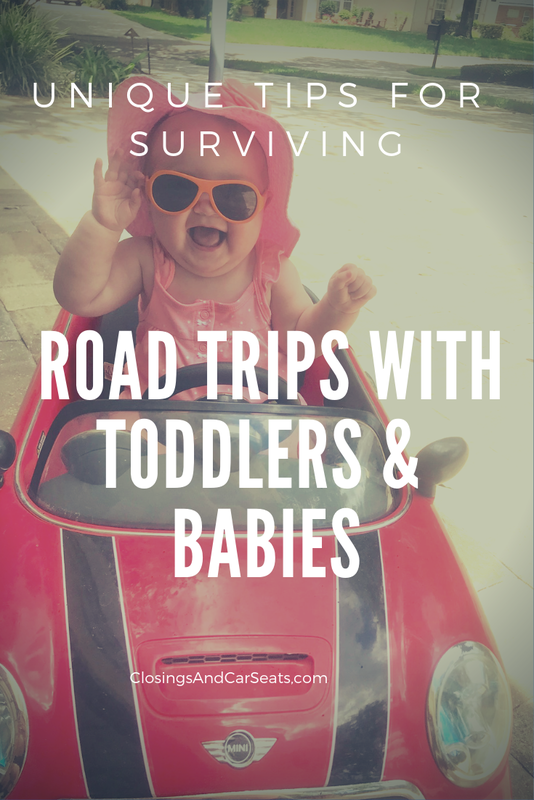 In planning our 8 hour+ road trips you have to be creative to keep the kids entertained. Sure, you can bring a bunch of toys, but how do you keep from constantly playing the pick up game because someone drops something every 5 min? A baking pan. I will not leave home without mine. Yes, I love to bake. But it does so much more. Just about anything Melissa & Doug is sure to be a hit but these magnets on my magical baking pan ensure hours of fun and imagination. I filter through the ones that are possibly too small, then “as needed” pass back the cow, then the pig, then the dinosaur, etc. Don’t give them all out at once or you will shorten your optimum entertainment time span. Having one of these can be beneficial too so the kids don’t have to balance the pan on their lap the whole time. Star Kids Snack & Play Travel Tray – Easy To Clean Nylon With Mesh Pockets, Cup Holder & Reinforced Sides. Keeps Snacks Off The Floor & In The Tray. Great for Car Trips, Plane Rides & More. We’ve had success with and without it, but since it holds cups and has other storage its always good to bring along. My family always makes fun of my ‘bag’ system, but you know what? It works and if it ain’t broke don’t fix it. A.) Don’t know its there and go through everything before you’re even 20 min from home. B.) Are super excited every time you “surprise” them with a new toy. I use it as my last resort BUT it is an absolute lifesaver when it is in use. Make sure to load it up with content like Baby Shark ahead of time to try to avoid meltdowns and confirm you have a backup wifi source just in case you go through a rough zone. unless you too would like to listen to extended periods of Baby Shark or Elmo. Have you ever thought to yourself, “Oh I don’t need to write that down. I’ll remember it.” That.Never.Happens. I have a travel notebook specifically for this reason. I used to use a Lilly Pultizer agenda, but frankly, since my schedule is so random, I find the “To Do” version to be more conducive for this purpose. You can see a picture of mine on my “Contact” page. I would be lost on any trip without it. I write down everything I need to pack, dates and times of car rentals, flights, hotel check-ins, etc. 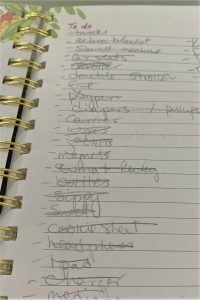 It is my checklist of things that were packed into the car, and things that need to be packed back in on the return trip. 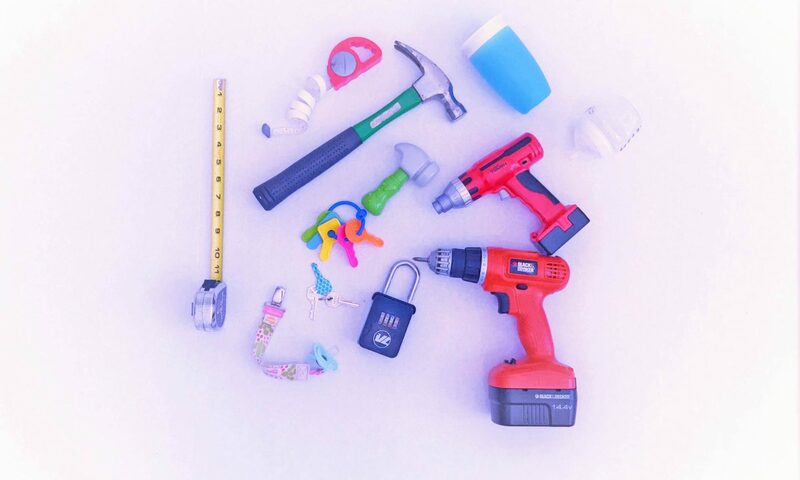 You’d be surprised what essential necessities can be forgotten if you don’t write them down. It also serves as a reference point to go back on past trips and see what tweaks we may need to make/what worked super well. My handwritten travel version of copy+paste. Have an open agenda and lots of options of things to do? Write down your desired excursions and put a time puzzle of things you want to do, what days/times they are open, then piece it all together. This was a big success on our trip to Texas. More on that to come! Its also a good idea to have somewhat of a plan as to where you will take a break for bathrooms and a place for the kids to burn off some energy. There are some awful long stretches of highway with nothing but trees for miles that will leave you wishing you had stopped at that park/rest stop/gas station/fast food place 30 miles back even if just for a few minutes. For our Tennessee trips, we know in advance we will take a breather in Macon. For Destin, its Tallahassee. Disney? Before we hop on I4 in Daytona. Key West? For sure before you hit Key Largo. Babies (and anyone really) can actually get sunburned through your car window, despite tinting. These shades will at least offer some layer of protection from the sun. It comes in a 2 pack, and the best part is it changes color when its too hot in the car as a reminder to turn the AC on before putting the babies in. Finally, don’t forget a roll of paper towels for the unexpected messes that will happen, hand sanitizer (same reason), and plastic grocery/trash bags to *attempt* to keep the car clean. These are just a few of the things I have picked up along the way that keep me sane on long road trips. 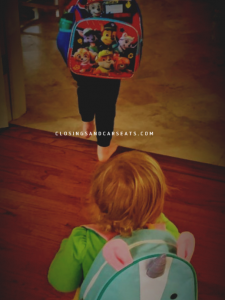 What are your best tips for traveling with toddlers and babies?